If you’ve spent any amount of time on MCU fan forums in the past year, then chances are you’ve come across the theory that Avengers: Endgame will see Earth’s Mightiest Heroes travel back in time. Indeed, the evidence seems to mount with each passing month that the speculation has it right, and in the latest trailer for the Avengers: Infinity War sequel, fans may have spotted one more clue. In the preview that dropped this morning, we see that Captain Marvel, Rocket and several of their superhero peers will be blasting off into space. There’s even a shot of the Benatar flying away from a planet that some assumed to be Earth. 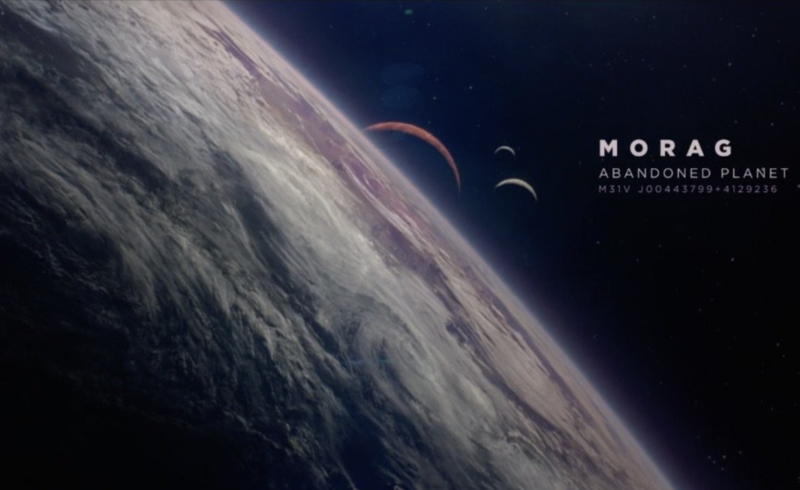 But as MCU Cosmic’s Jeremy Conrad points out, the region also bears some resemblance to the planet Morag from Guardians of the Galaxy, complete with a reddish moon or planet nearby. As you may recall, this location is notable as the place where Peter Quill first came across the Power Stone, which ties into the old theory that the team will be traveling back in time in order to acquire the various Infinity Stones. Granted, the trailer shot is so dimly lit that it’s impossible to be sure what we’re looking at. But even if this new piece of speculation turns out to be wrong, there’s still plenty of reason to believe that the film will feature a time travel plot. From set photos of the Battle of New York, to the recent poster showing Gamora in her outfit from the first Guardians movie, the evidence is really piling up, but we’ll find out what’s really in store for our heroes when Avengers: Endgame hits theaters on April 26th.